China is a big country, and the regions here are quite diverse and distinct. I knew from previous trips to Yunnan that it was different from Guangxi, but now I’m living the differences. Here are 15 ways I can tell we’re no longer in Guangxi. 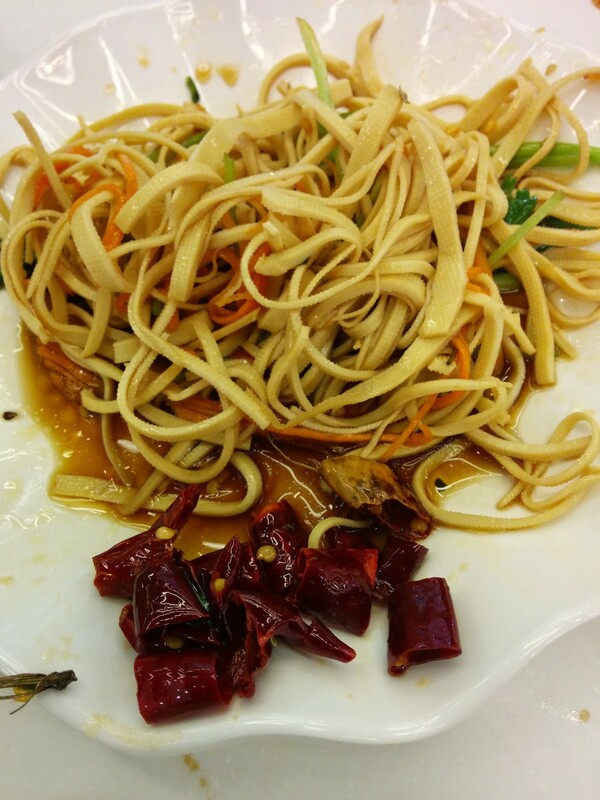 We picked out all the hot peppers from this “not spicy” dish. There were only a couple. I should have been prepared for this one, but Guangxi-ers and Yunnan-ers have very different thoughts on what “only a little spicy” means. After years of being pretty comfortable with all the different types of accents in Guangxi, I find myself staring blankly at people here while my brain tries to figure out even one blessed word from the sentence they just threw at me. The worst is on the phone. “I’m sorry, I’m a foreigner, could you speak Mandarin?” “I AM speaking Mandarin.” Oh. Guangxi has some of the shortest people in China, and living in a rural area meant living among the shortest of the short. This made my height (5’10”/177cm) even more apparent and weird. When my son was 9 years old, he was already taller than some of the women we knew. Just a few months ago, I noticed that my 8-year-old daughter’s shoes were the same size as our househelper’s. So, it’s a bit of a shock to be going down the aisles of a supermarket here in Kunming and to repeatedly encounter men who are taller than me. Occasionally, there are even women who are as tall as me (though, let’s be honest, they’re probably in heels.) I try not to stare. Given #4, it’s a mystery to me why most kitchen counters in Kunming seem to be shorter than in Guangxi. Do people chop vegetables with their kneecaps? And the exhaust hoods seem to all be perfectly positioned to scalp tall people (ahem, ME) when they’re trying to cook. It’s also a mystery to me why Kunming seems to have a worse mosquito problem than anywhere I’ve been in Guangxi. It’s not that these things never appear on Guangxi ladies, but they appear far more often here. I’m digging it and plan to join the party. But the happiest Kunming accessory? See #8. Oh my chapeau. 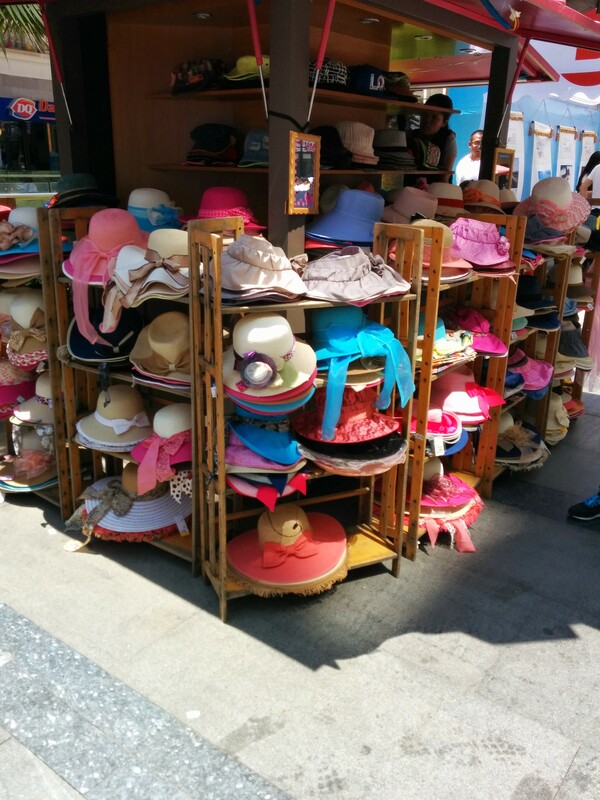 There are so many hats here! Walking around town, we pass things out of Downton Abbey, the Kentucky Derby, and Easter Sunday 1961. The sun is more intense here (less atmosphere to guard us) and people combat it with hats more often than umbrellas. And, instead of choosing plain ‘n’ boring, they go for elegant ‘n’ fancy. Even the cleaning ladies in our apartment complex wear hats with ribbons and flowers, not the “Vietnam hat” that most of their counterparts wear in Guangxi. We hear “foreigner!” yelled at us approximately 1000 times less frequently here. Approximately. Nanning had David’s (and a gazillion other shops) far earlier than Kunming did, so I don’t know if Kunming just needs more time to catch up, or if folks here just aren’t as thrilled by naicha as their eastern neighbors. I know I’m not in Guangxi because the humidity is low enough that it doesn’t even cross my mind. (Again, this makes #6 more of a puzzle ot me.) It’s been cool enough for jackets every morning and evening, but sunny and warm pretty much every afternoon. The City of Eternal Spring is living up to its nickname so far. There’s a whole mess of vocabulary items that don’t translate across provincial boundaries. Our fen is their mixian, our qing nangua is their xiaogua. Their rubing doesn’t even exist in Guangxi. The weirdest thing is that in Guangxi, a jin is 500 grams, but in Yunnan, it’s a full kilo. 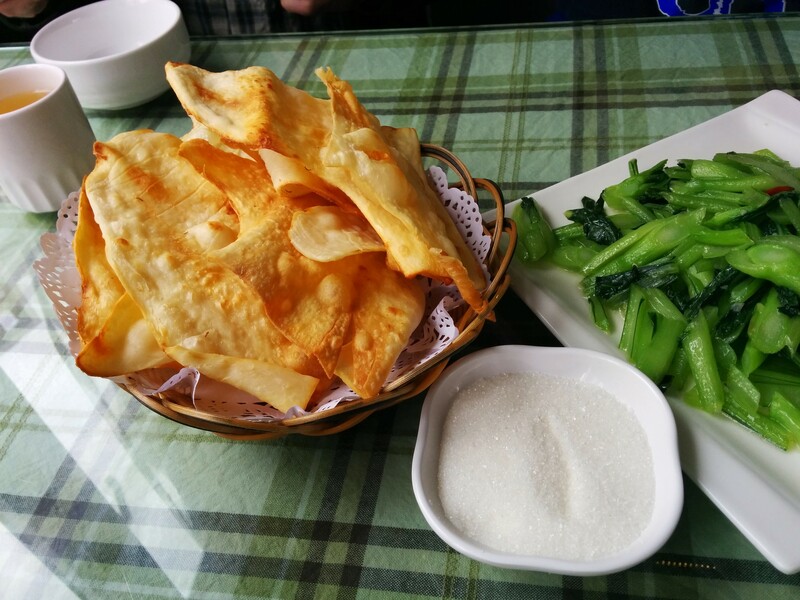 I found that out the hard way on one of my earliest visits to Kunming when it seemed like all the fruits and vegetables I asked the price of were really expensive…about twice as expensive as I expected, in fact. I think this must be the answer to every China newbie’s prayer. Many restaurants here have a display rack with all the raw meat and vegetables in bins. You simply point out what you’d like. As Depeche Mode sang so angstly, “words are very unnecessary.” Restaurants like this don’t exist in Guangxi. There, they hand you a menu all in Chinese characters, and it’s sink or swim, baby. We’ve moved far enough west that we’d normally be in another time zone, but this is China, which means we’re all Beijing Shijian. The sun goes down about an hour later than it did in Guangxi, and it’s thrown me several evenings so far. I guess I never realized how much I subconsciously depend on the sun’s position to tell time. Well, those are just my impressions so far. Perhaps as we’re here longer, I’ll be able to tell you about differences that aren’t quite as superficial as people’s height and milk tea addiction levels. What time did it rise and set in Guangxi? We are moving from Tianjin to Sanya and I am so excited about a post 6:00 sunrise as opposed to our current pre-5:00 sunrise! Apparently, Guangxi is a really pleasant part of the giant time zone to live in. I think the sky was pretty bright by around 6:30 a.m., and it got dark around 7:30 p.m. (this is just a few weeks ago, so of course it would be different during different seasons). Not bad at all. Kunming’s times are also not unreasonable, but it’s enough of a jump that I keep thinking it’s earlier than it is. I never thought about how early the sun rose on the east coast – yikes! Sanya will definitely be a change, for that and many other reasons, I’m sure. Blessings on your move!